Most Americans do not think that they will need long-term care, but the reality is that the majority of people will need senior care services. It is important to plan now for the type of home care services you want to provide for your parent or loved one. Most people prefer to stay in their own homes rather than relocate to an assisted living facility. 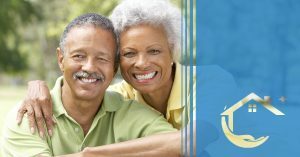 Polaris Home Care in Los Gatos is dedicated to providing superior senior care services in the comfort of the patient’s home. Long-term care does not have to mean life in a nursing home. Our skilled professionals are here to help with the day-to-day tasks that can become more difficult as we age. Many seniors simply need assistance with daily activities. Call Polaris Home Care today to discuss the individual needs of your loved one and create a plan for their long-term care. Whether your loved one needs transportation to daily activities and appointments or assistance with bathing and dressing, planning and preparing meals, or mobility issues, we can help. We know that regardless of age, everyone values the feeling of being competent and independent. While aging can begin to rob us of those feelings, Polaris Home Care professionals work to provide a safe, comfortable, and encouraging environment that reinforces the patient’s value and worth. Have you been trying to care for a loved one by yourself? Are you feeling overwhelmed with the task of caring for them and managing your own life? Call and let us help you determine the right care plan for your family member. Senior care doesn’t have to mean a change in location. We believe in offering the seniors of Los Gatos an option that will allow them to feel more comfortable and secure. You don’t want to limit the options available to you, so begin now to prepare for the type of care your loved one will receive. Proactive decision making will relieve stress and give you peace of mind. You can rest assured that Polaris Home Care also provides for a registered nurse to be on-call should the need arise. We understand that each patient requires a unique care plan specific to their needs and wishes. Your loved one’s care is our highest priority. At Polaris Home Care in Los Gatos, we work with each patient to develop a specific, individual care plan and match them with one of our professional caregivers. We strongly believe that it is important for our clients to feel at ease with their caregiver. Struggling with feelings of loss of independence should not be compounded by having a stranger in your home. Polaris Home Care wants you to feel confident about the senior care services that we provide. We are proud to provide the seniors in Los Gatos with the assistance and care that they deserve. Don’t struggle to take care of everything by yourself, let us show you how we can help improve the quality of life for your loved one. Our experienced caregivers will make your parent feel at home again in their own home. Call Polaris Home Care today to learn more about the services we offer to seniors in Los Gatos.